Hey everybody, recovering here from a heck of a week of festive activities. I hope you are doing well. 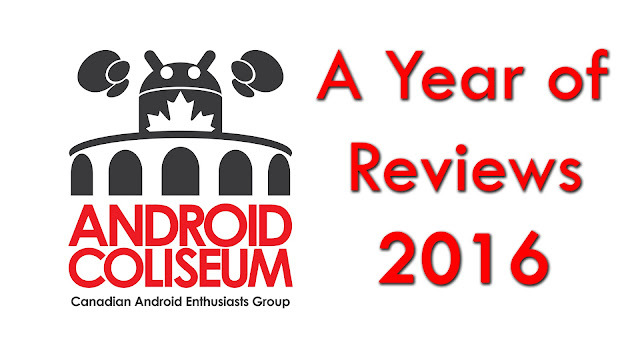 In the vein of looking back and reflecting on 2016, I thought I'd recap and list off our reviews from the past year. What would you like us to review in the next year? What were your favourite from the list? What were my top 3 from this list? I'd have to say the Moto Z and the LG G5 are tied for first, but the Z wins out by a hair (the mods were done in a much better way). Then, oddly enough, my Whoosh!. I use that stuff a lot actually, surprisingly. Lastly would be the Moto 360 Sport, as it's the device I had my eye on the longest and couldn't wait to get my own.